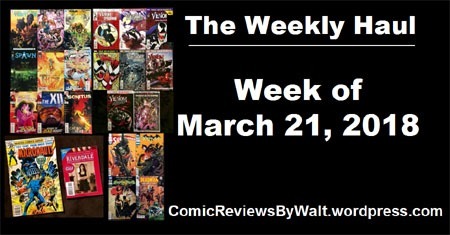 Along with recent toy hauls and Ollie’s hauls, this week was a big comic week! 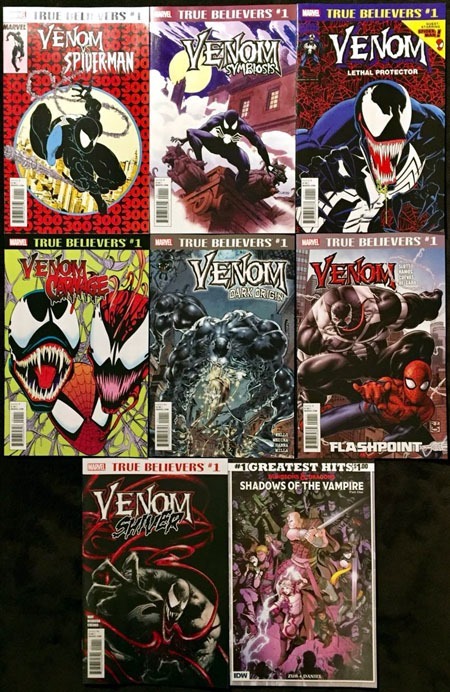 I almost held off on some issues, but figured I’d just end up spending the same–or more–trying to hunt a bunch of stuff down later, or outright forget stuff that I didn’t want to. So…got a bunch of stuff, and here it is! I probably should have held off on the Metal stuff. 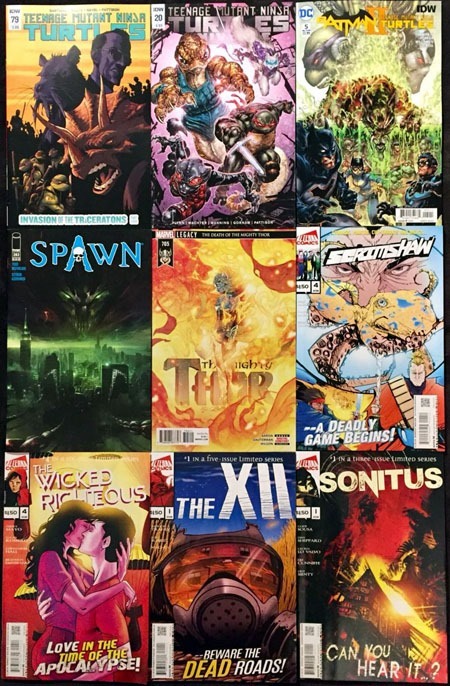 I never intended to wind up so far behind on reading, but at this point, I’ve read up to #2 or so and none of the tie-ins. The shiny covers are also wearing a bit thin…yet, I still appreciate them as identifying markers for the series and its official chapters (i.e. not tie-ins). 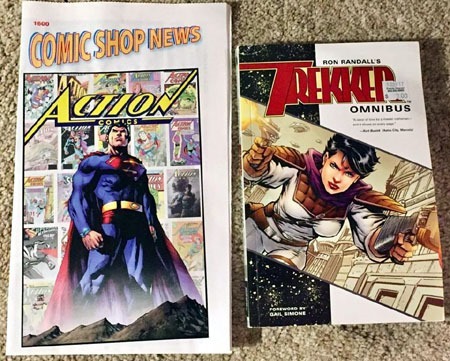 We’re just a couple issues/months away from Action Comics hitting #1,000. Sideways actually looks interesting, so I figured I’d pick that up. 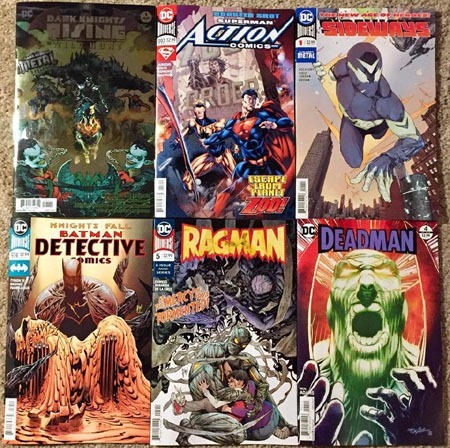 Detective Comics is another regular for me, and I’ve been trying to keep up with several of the mini-series such as Ragman and Deadman. I need to "stabilize" what extraneous DC books I’m keeping up with. I’m pretty sure Titans and The Flash are ones I’ll want to–emphasis on Wally West, and with the upcoming Flash War stuff. Avengers: No Surrender as a weekly and hopefully having something to it. I’d much rather follow a single weekly than multiple separate titles. Though my math was definitely off, if this is a 16-week thing, it’s gonna end at #690…not #700! Invincible concludes, so figured I’d pick that up to read. Eventually, someday, I’ll get caught up on the entire series. Especially as this caps it off and it’s a finite run. I’m a fan of Tristan Jones‘ art…he’d posted some stuff on Facebook about this Lazarus issue out this week. I figured I may’ve missed earlier ones, but what the hey…now being aware, I’d grab this one to jump in. D’oh! 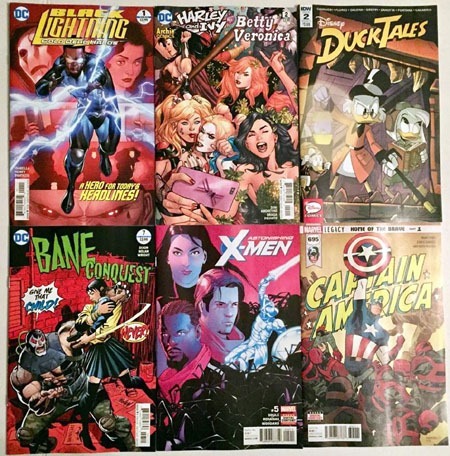 It’s a 6-issue series, and this is the 6th issue. So, I’ll either have to backtrack on single issues, or nab a collected volume down the line. A Valentine’s Day promotion: draw a card from the bucket, and win something. Some free comics from the bargain bins, a graphic novel from the half-off bins, might’ve been other stuff. 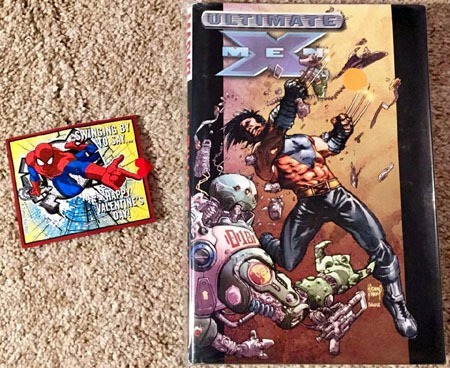 I drew one for a graphic novel from the half-off bins, and chose this Ultimate X-Men vol. 2. $30 cover price, in the half-off bins, $15…definitely an excellent "door prize" or Valentine’s gift. Thanks to a #SciFiJanuary post over at The Crapbox of Son of Cthulhu, I was interested enough to snag this Trekker Omnibus. It’s a little bit beat up and some slight curl to it…but for the price, and very pleasant surprise of its very existence, an absolutely excellent addition to my collection! 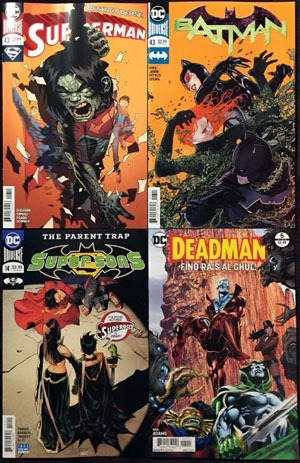 And Comic Shop News has had Superman on its cover two weeks in a row now…quite a nice change of pace! I need to catch up on my actual READING of them, but I’m really digging these one-shots focusing on the various Bat-men. 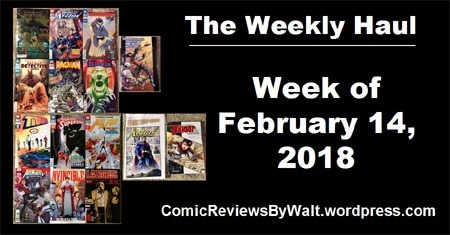 For what I feel compelled to get new in the week, it’s great that there’s a new chapter each week, and does not feel like an overwhelming amount with say, five or six (or seemingly so) or more chapters out in a week. PLUS, the shiny foil covers are fun as they’ve not (yet) been used to fatigue, and for something called Metal, they’re truly appropriate! Then there’s TMNT/Ghostbusters 2…a fun crossover conceptually, and I enjoyed the first series, so why not a second? 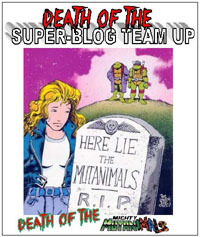 And getting at least a weekly dose of TMNT through this, plus the "regular" stuff? Makes for a good month! As anyone reading this knows, I’m sick and tired of variants, in general. 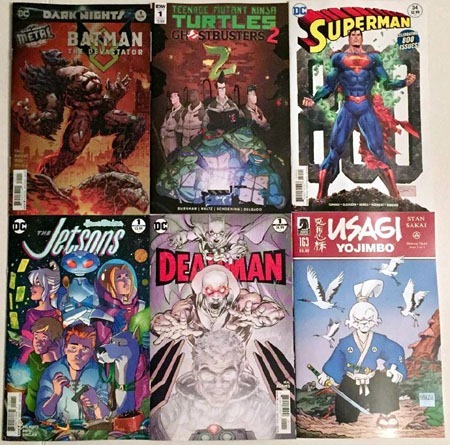 An honest exception is where it’s warranted…such as with this week’s Superman #34! 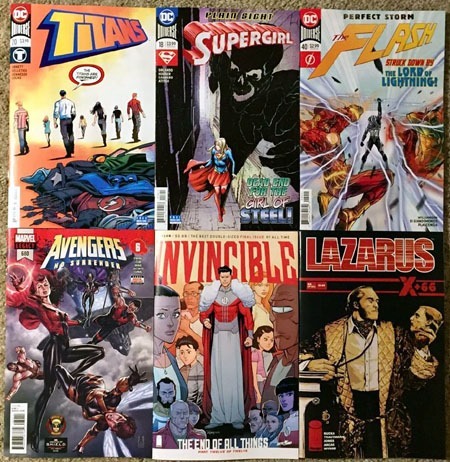 Shows that the 800th issue can be celebrated without having to DERAIL an entire numbered series! It’s observing the anniversary without having to BE a #800! After the Jetsons backup in one of the specials back in the spring, I certainly wasn’t going to not check out an actual series that looks like it follows up on that! 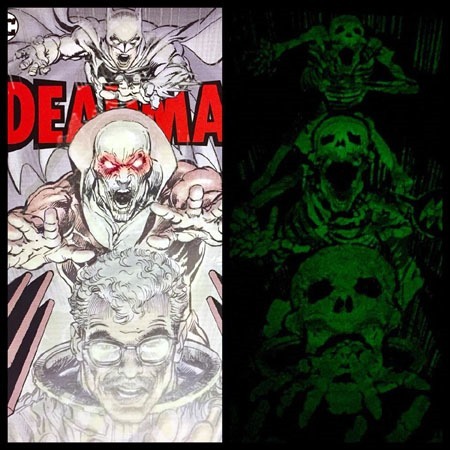 And I’m amused at the "return" of some more obscure characters lately, what with Deadman here, Ragman recently, and Mister Miracle. Then Usagi Yojimbo, which has been trucking along over the years; even with some hiatuses apparently, but it’s back, and I’m enjoying it thus far. 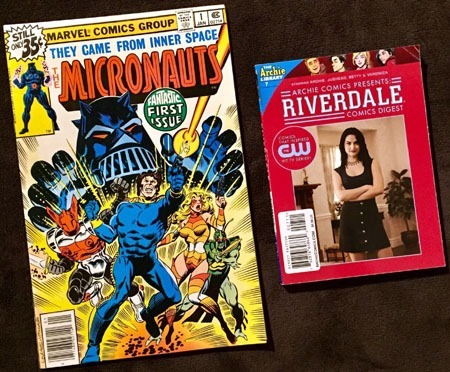 Now, here’s where location and promotion can pay off: Black Lightning takes place locally, apparently–Cleveland, Ohio–and I don’t think I’d realized, but apparently the creator is local, too! So of course I’ll check this series out! I’m giving Harley and Ivy/Betty and Veronica a chance for the heckuvit…it’s a novelty thing. DuckTales ought to be a given, but I’m still not ready to commit month in/month out…especially as I’m behind on watching the new cartoon. I need to catch up on actually reading Bane and Astonishing X-Men; already having several issues defeats the point of a collected volume, so "cheaper" to finish out the stories (plus the convenience of having all the issues in-house when I do finally binge-read). I was not going to bother with Captain America, but some strong positive words on it from a shop owner went a long way with me. It gets this one issue, and I probably won’t come back til the novelty of whatever #700 is…but then again, maybe I’ll end up sticking around until #700. Time shall tell! The Lion King is one of my all-time favorite films (period, no sub-categorizing or such for "animated feature" or stuff like that). So for the price of two DC issues (or 1 1/2 Marvel issues), got this mini-graphic novel sized book. I think it might just be a print edition of a digital comic I’d bought years ago, but especially if so, cool to have this in print. 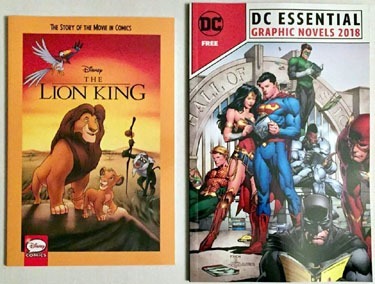 And somehow, I’d missed the DC Essential Graphic Novels edition for 2017, so definitely glad to have it for 2018…my OCD demands I still seek out a 2017 edition to go on the shelf with previous years! And then as a bonus for the week, there were left over comics from Halloween ComicsFest, so I was able to get some of the non-kids-oriented comics (Sabrina, for one) and several other issues I’d missed out on with only choosing the ones I did last weekend. I was satisfied with what I’d gotten over the weekend…so these are definite bonus on top of that, making an expensive week feel that much more substantial! JLDark and Early Digital: Really?!? 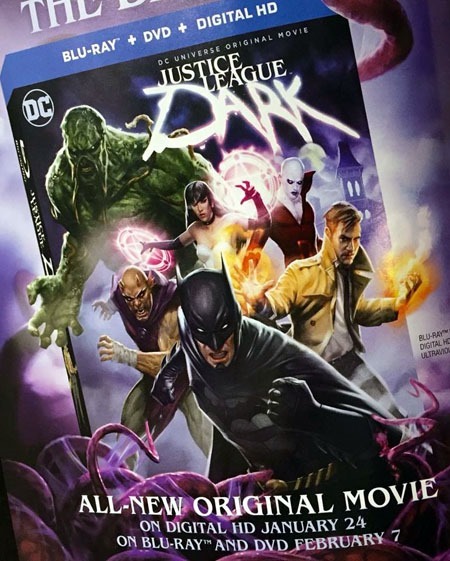 I saw this ad this week, for the new Justice League Dark animated movie. And at first glance, I thought I had missed its release–despite being in a Walmart on Tuesday and actually looking at the movie section and new-release endcap without anything jumping out at me. But no…I didn’t actually miss it. I realized the ad says on digital January 24. I swear, every time I see ads like this, they just make me more and more angry, and less and less likely to buy anything new in the way of movies. Bad enough the high price and shrinking "first week discounts" (if any) the last several years. But this "digital-only" "window" just bugs the crap out of me. Is there anyone who is REALLY just so desperate to see something like this, that they’d rather pay the $20ish for digital ONLY when a "mere" TWO WEEKS later for that SAME PRICE they can add blu-ray AND dvd to their stock? Maybe if the digital version was say, $10, I’d consider it. I’d wait this one out on principle if I didn’t know myself and OCD on these. With the voice cast, content, and having all the previous such animated releases since the line started back in 2008, I’d kick myself for "missing" the thing. But I’ve already gotten to where–despite loving them in the theater–I refuse to buy Marvel MCU movies; the way they screw around with "formats" and "combo packs" shut me out years ago.